From Jersey & Guernsey cows. Gluten free. Suitable for vegetarians. "Hello, I'm Chloe! Who wants to choose between clotted cream and ice cream? Buy this pot and have the lot! 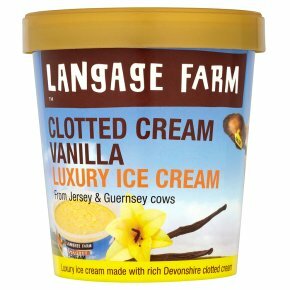 Our Luxury Flavour - Vanilla ice cream made with Devonshire clotted cream...yum"